Linda Borton (left) with OFU's Joe Logan. COLUMBUS – After 22 years of official service and nearly a half-century of volunteer service and leadership, Linda Borton, of Ottawa, is retiring as executive director of the Ohio Farmers Union. “From her time as a teenage volunteer to her time as OFU’s executive director, she has always provided highly competent, dignified and professional service for our organization,” said OFU President Joe Logan. 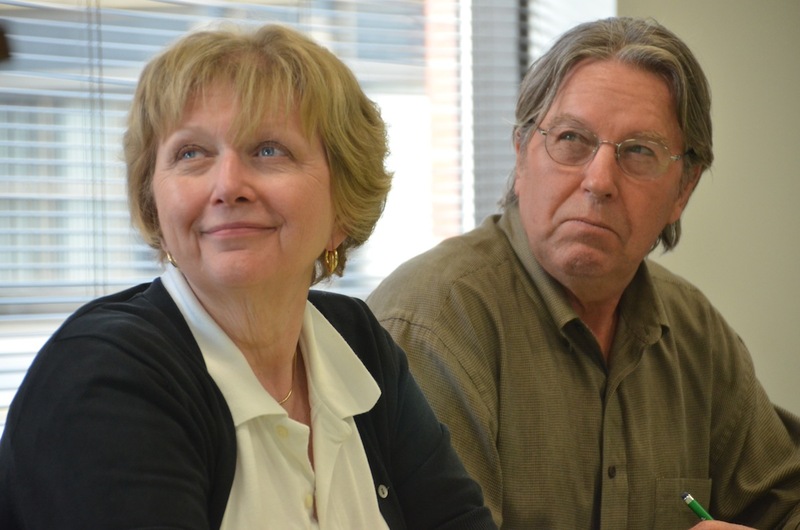 For many years, Linda and her husband, Mel, have been leaders, advisers and friends to OFU. Mel Borton was a long-time employee of the National and Ohio Farmers Unions serving in membership and legislative capacities. He’s been a constant volunteer at the headquarters in Ottawa, during his wife’s service. Linda Borton attended her first Ohio Farmers Union convention as a delegate at the age of 17. She grew up on a farm near Columbus Grove. Her brother, Norman, worked on membership recruitment for OFU and introduced the younger Borton to OFU. From her earlier OFU days, Borton recalls being inspired by attending the 1971 NFU Convention in Washington, D.C. By the close of 1972 she had become First Secretary of OFU and was hired by the National Farmers Union in 1975 to work in the organization’s insurance division, in Denver. That stint lasted 12 years until NFU sold its insurance business. Borton worked in the insurance industry for several years until she was hired in 1999 to manage Ohio Farmers Union Service Corp. In the years from 1999 to 2009, Borton filled many roles in OFU. During this period she was also appointed as Ohio Director of USDA Rural Development Agency for a time. Since 2009, Borton has been executive director of the 4,000 member OFU. She is involved with several volunteer efforts in her home of Putnam County and is president of the advisory board of the local chapter of the Red Cross. Logan will work in conjunction with OFU officers and executive committee and staff to assure continuity of operation, while the search for her replacement is completed.